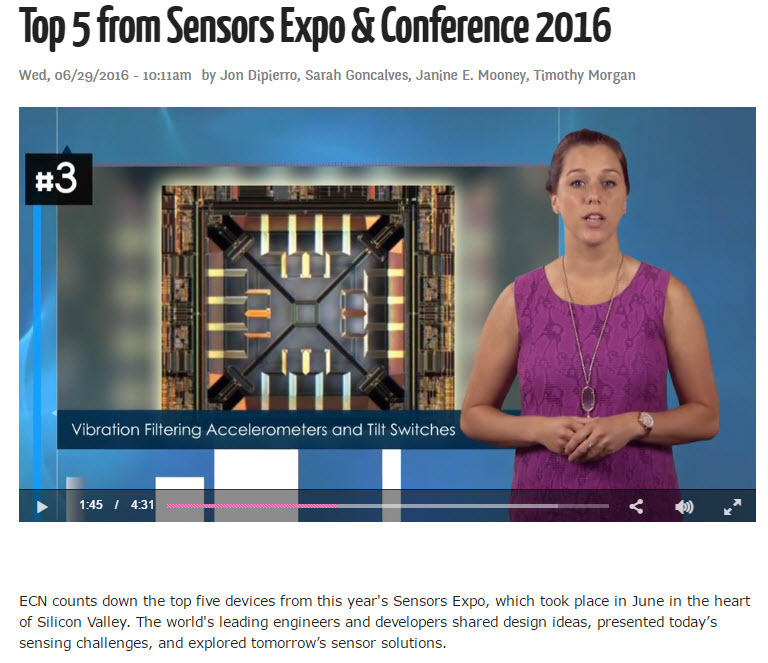 ECN Magazine names MEMSIC's new Vibration Filtering Accelerometer as One of Top Five Top Products at 2016 Sensors Expo. ECN counts down the top five devices from this year's Sensors Expo, which took place in June in the heart of Silicon Valley. The world's leading engineers and developers shared design ideas, presented today’s sensing challenges, and explored tomorrow’s sensor solutions. Watch the video here - about 1:45 into the video.